Need to renew, refresh and refill? Come enjoy a weekend away to refocus at beautiful Camp Allen in Navasota,Tx. Women of UBC and their guests are invited to slow down, enjoy time with one another and grow closer to God! 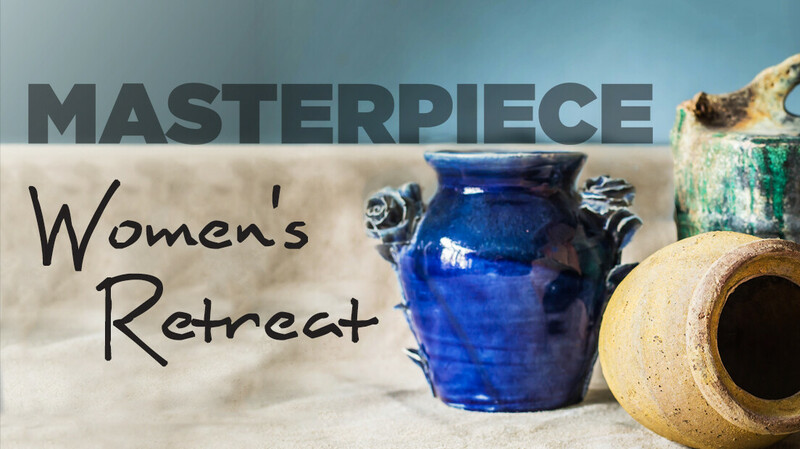 Women's Ministries is excited to welcome our speaker, Rachel Norris, a potter who will speak and demonstrate how we are God's MasterPiece(Peace). This will be a time to relax, learn, and share away from home and our routines. Accommodations will be hotel-style rooms. Rachel Raborn Norris was born in Hong Kong to missionary parents. Today, she and her husband own Joy Pottery in Bryan, Texas. Joy Pottery is a studio, built on land her mother grew up on, where she works, teaches, and sells pottery. In college, Rachel changed her major to pottery and has been making pottery ever since. She also has her MFA in Ceramics from UNT in Denton. Rachel has been sharing her testimony with her potter’s wheel since 1992! Includes all meals, hiking trails, lake and beautiful accommodations. And yes, there are horses! Women are responsible for their own transportation to and from camp. If you need a ride or can give a ride, please contact Lora Doremus to arrange carpooling. Check-in starts at 3pm on Friday. Dinner Friday is from 6:30-7:30pm. The first session starts Friday at 7:30pm. If you will be arriving later than 7:30, you will need to eat before your arrival. Activities will go through Sunday lunch. The last group session is Saturday evening followed by a campfire. Sunday we will worship and then enjoy lunch before heading home.